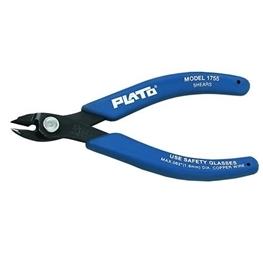 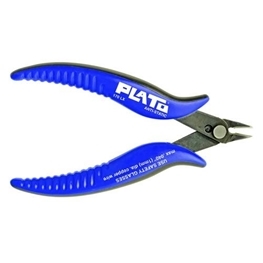 The Plato 170 Plato shear cutter offers precise, reliable cutting action at an economical price. 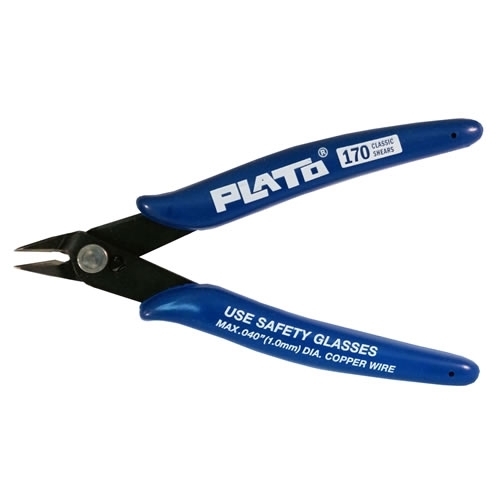 Thin profile handle and lightweight design are ideal for smaller hands. 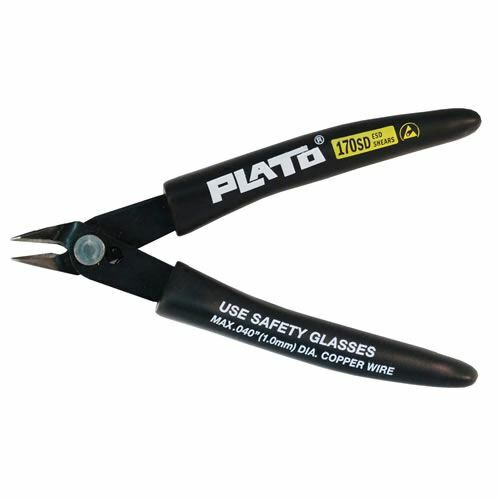 A Plato shear cutter has a thin profile designed for those hard to reach areas in electronic assembly. 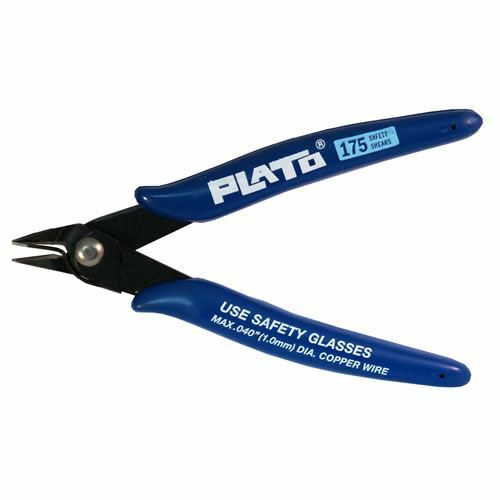 Assemblers love the effortless shearing action, comfort, lightweight and safety for electronics lead and wire cutting. 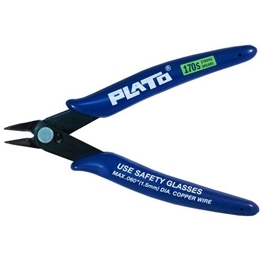 A Plato lead cutter uses the shear cutting method, which requires 50% less operator effort and extends cutting life because they shear rather than pinch. Handles are cushioned for day-long comfort and automatically spring back to their original position after each use.